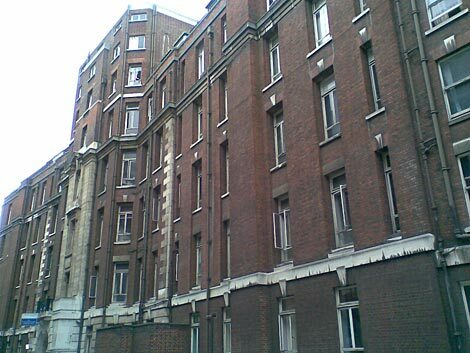 Many scenes in Oliver's birth take place in the Elizabeth Garrett Anderson and Obstetric hospital, which is part of University College London Hospital. 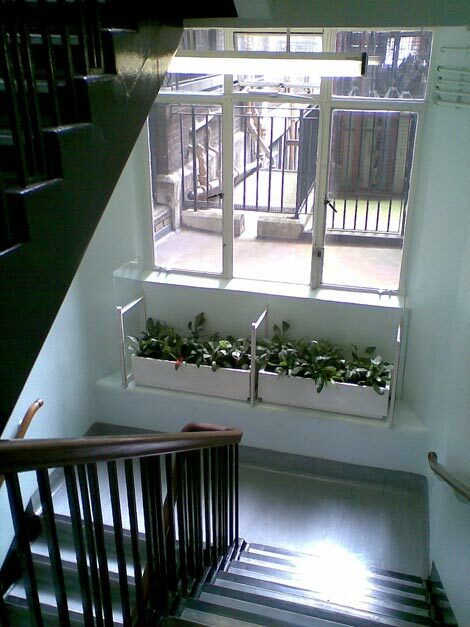 As a building, it's caught between late Victorian and Edwardian styles, and sits heavy in Huntley Street, which is tucked in between Tottenham Court Road and Gower Street. 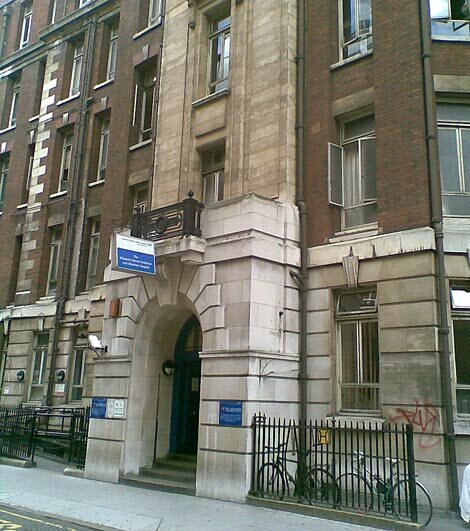 The hospital is named after the founder of that first dispensary, and the driving force behind the subsequent hospitals, Elizabeth Garrett Anderson, after she died in 1917. Garrett Anderson was the first woman to gain a medical qualification in Britain, as well as a suffragette and then the first female mayor in Britain. What a gal. 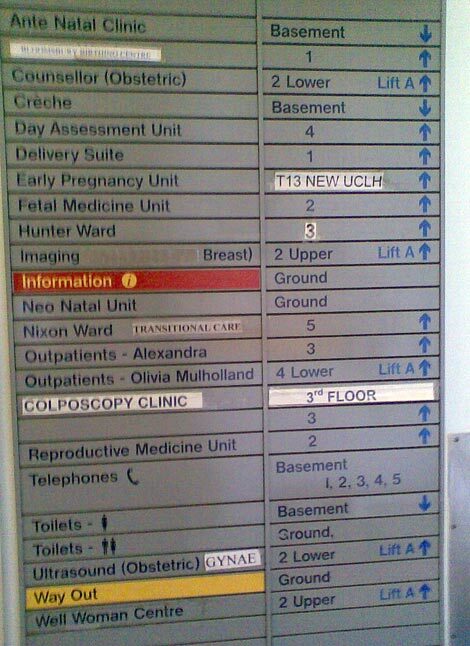 The New Hospital was originally staffed entirely by women, and originally had a broader remit across womens and children, but now seems focused around obstetrics. My mother had her tonsils out there in 1949, and remembers being in for 2 weeks, not allowed to see her parents. Uncle Jim smuggled himself in and gave her a fountain pen as a present at the end of her stay. 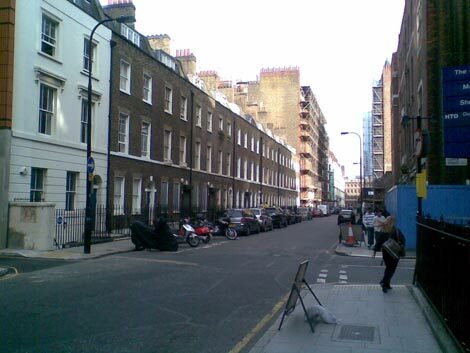 I'd never really walked past it before, as Huntley Street only really goes to the hospital. 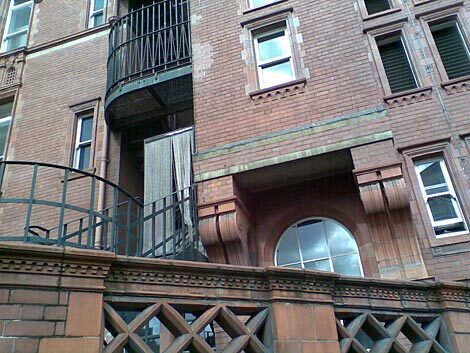 The bottom end of Huntley Street is dominated by one of those lovely large mansion blocks, like Gordon Mansions, with glazed brick around the base, and then some semi-derelict old terraces. 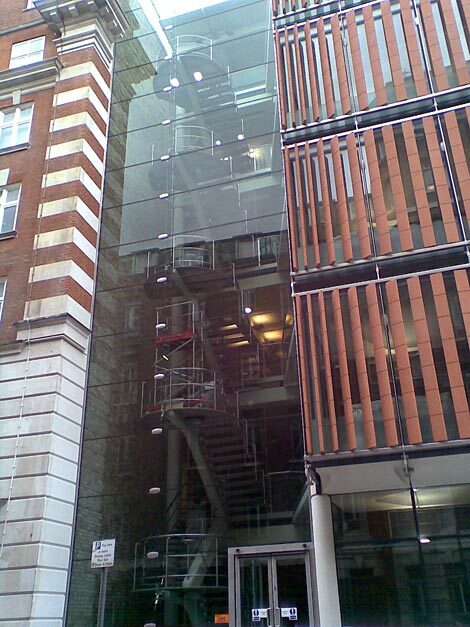 The latter seem a dreadful waste, like some of the fine but empty addresses on Gower Street, a few metres east. 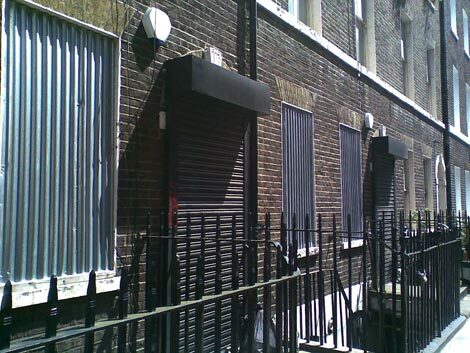 They may be caught in that London property dilemma: the land is too expensive to sell, with developers circling, eye-ing the space hungrily, but it's too difficult and costly to simply re-furb and re-use the dilapidated built fabric. So it ends up in limbo, neither being redeveloped or torn down. They'll rot from the inside eventually, so nature will do the demolition job for the developers. We come to EGA for several visits - for scans, check-ups and visits with the ante-natal class - and Oliver's birth and transitional care, so we get to know the building fairly well. Inside, you can see the original layers of what was once a fine bit of architecture, but it's been chopped around over the years, ending up as the familiar mish-mash of styles and shapes that define many old public buildings in Britain. Different regimes, different funding schemes and different functional and aesthetic requirements all accrete around the building until the hospital ends up as kind of untidy palimpsest. There are floors at random junctions, peculiar illogical corridors, odd dead-ends and an internal spatial form that is entirely beyond comprehension. You just have to go with it. In fact, it has ended up a bit like the fictional hospital that I seem to recall from an old Will Self short story, possibly in 'The Quantity Theory of Insanity', about a North London hospital that is essentially alive; long corridors unfolding as arteries and capillaries, a huge grey body-mass, slowly enveloping its inhabitants in stud walls, bureacracy and medical equipment. EGA isn't as malevolent as Self's hospital; just occasionally confusing and a bit tatty. It's to be replaced as part of the next phase of development in the 'EGA wing' of the new UCLH building 100 metres away at the top of Gower Street, and is clearly on its last legs. Having said that, any other building this close to the end of its life would be left to rot a bit more obviously; you can't do that with a functioning hospital. There is evidence everywhere of earlier layers of the hospital. There are some quite lovely wooden doors, crowned with semi-circular glass windows, and set with brass handles smoothed by a million hands. 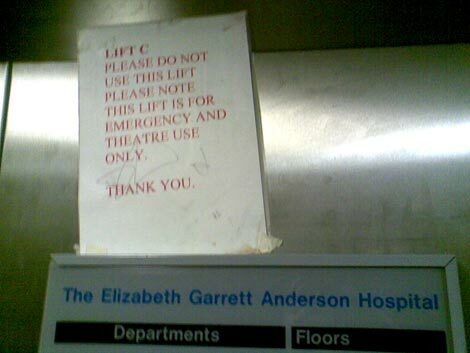 These appear on a few corridors downstairs, away from the patients' areas. 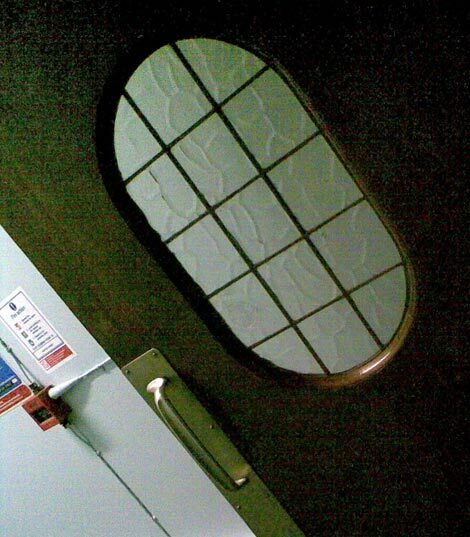 You can find a few lovely porthole windows, including some elongated ovals. 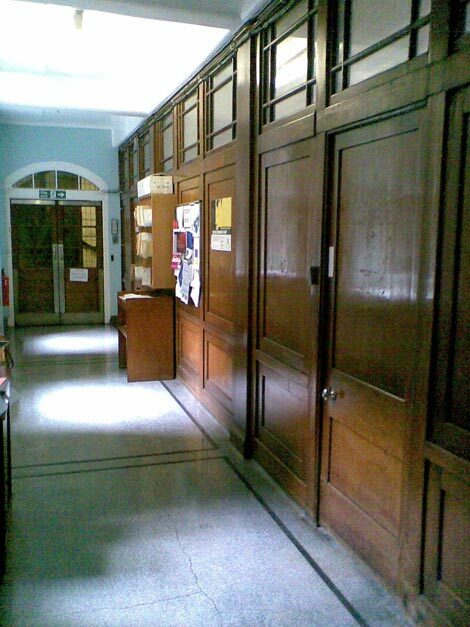 A corridor for staff, that I quickly get asked to leave, features some fine wood paneling and pigeonholes, light flooding in from tall metal windows. Here are some snaps (again, sorry about the mobile phone quality). But the building is slowly being left behind, no doubt about it. A good way of spotting the status of a building is by checking the signage. If the owners care about a building, the signage is usually spot on, updated properly. Here, the signage is all over the place, with temporary additions stuck on with sticky tape, or propped over structural elements. The signage itself conveys the age and decrepitude of the building, sadly, with recent layers of change only registered with masking tape. Across the road from Elizabeth Garrett Anderson is the famous Cruciform building, by Alfred Waterhouse, and the centrepiece of University College Hospital for years. I've worked in a Waterhouse building before - the glorious Manchester Town Hall. He's better known for the Natural History Museum in London - and less well known as the architect of Strangeways prison in Manchester - but all his buildings are wonderful examples of dramatic Victorian architecture, each with their own internal logic, and program suffusing the fabric of the building itself. They're proud, powerful, muscular evocations of the British Empire, standing long after the latter was dust. 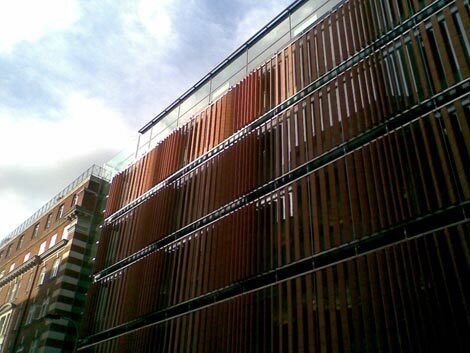 The terracotta and hard red brick were chosen to withstand London's filthy pollution as much as anything else. 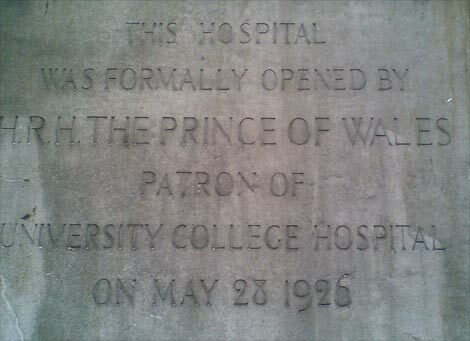 Another choice - say, the portland stone visible in the more genteel streets west of here - would have required constant cleaning, and even then a dirty-looking hospital would've stood out in all the wrong ways. 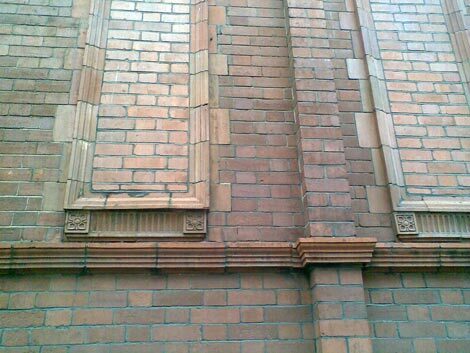 Now these choices appear to be part of a late-Victorian aesthetic; and aesthetic only, the functional choice of red brick having been long forgotten. 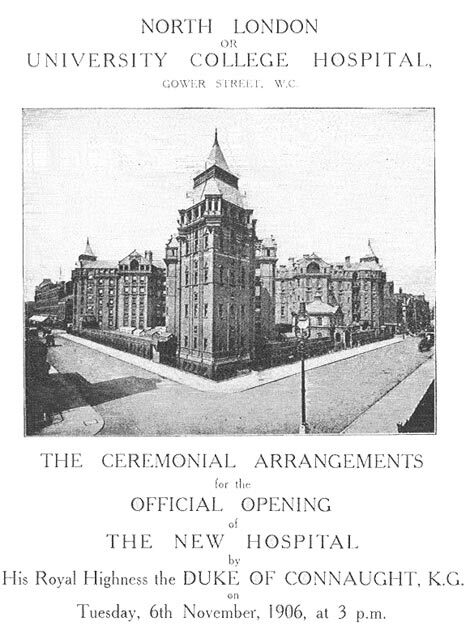 As with the Elizabeth Garrett Anderson, the interior reflects building on a grand scale - contemporary revisionists, it's worth noting it went 200% over budget - with terrazzo, mosaic and wood block for the floors and glazed bricks for the walls, and with marble for the formal outpatients' entrance. The exterior has some wonderful brickwork details and carved lettering. Unlike the Elizabeth Garrett Anderson, It's being re-furbed now, a new home for the Wolfson Institute for Biomedical Research. In Waterhouse's Manchester Town Hall, I remember decorative codes, hidden in the stonework, to indicate subtly what floor you're on (industrious bees for the chamber of commerce etc.) Here, the distinctive cross-shape of the building itself tells a story of its function. The Cruciform Building's logic is arranged with separate wards for particular ailments, along each arm of the cruciform. The beginnings of an understanding that fresh air, ventilation and sunlight might aid recovery meant these long, radiating wards maximised light and minimised infectious horizontal crossover, in favour of organising ailments vertically, with the open central core providing services to all. 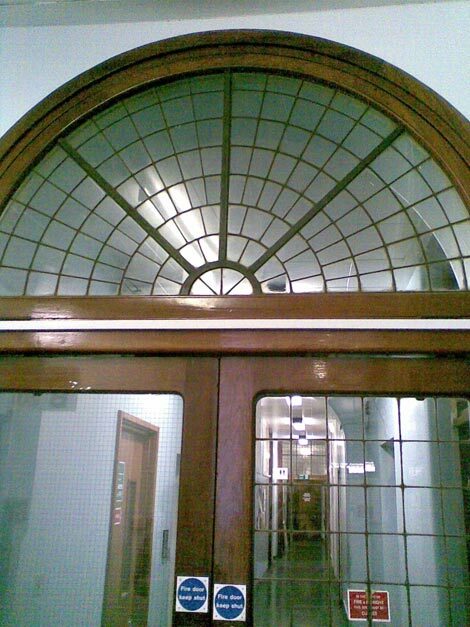 Although the windows are still far too small by 20th century standards, it lifts the building and practice out of the dark ages of medicine. As such, it's a specific entry in the development of Western architecture towards clean, open, light-filled spaces that would ultimately lead to a defining characteristic of modernist architecture, and with a specific antecedent in Alvar Aalto's Paimo Sanatorium. There's a good short history of the Cruciform building here. Directly opposite the Elizabeth Garrett Anderson hospital, and on the adjacent block to the Cruciform, is a fine new building. It's unlabelled, and possibly still uninhabited, but it's quite lovely, creating a new statement on an old street whilst blurring well with its surroundings. 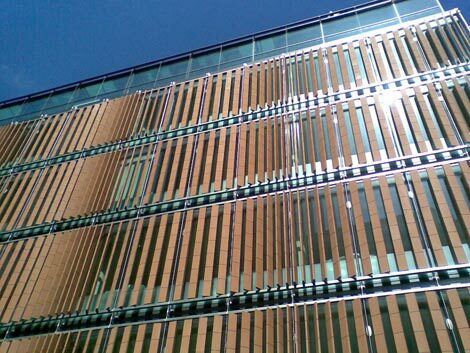 It shares the terracotta colour of the adjoining architecture, but here deployed in some gorgeous ceramic-looking shutters, rippling across the entire front of the building. These look as if they might move independently, reacting to light and heat, but despite staring at them for minutes on end, willing them to move, they don't. 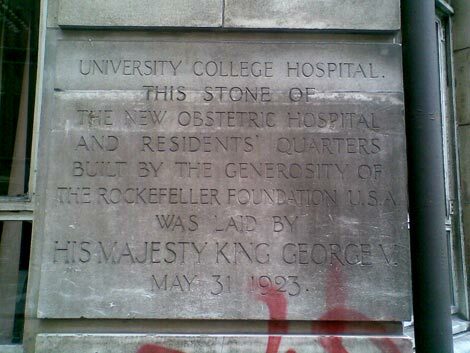 I must walk past this building 30 or 40 times during Oliver's birth and it looks wonderful each time. I wish I knew what it was, but it's heartening to see something inventive and progressive built here, providing good company for the Elizabeth Garrett Anderson and Cruciform Building.